There are currently no Caroline notable alumni listed. Be the first to add an CHS famous alumni. Create a Caroline High School memorial for an individual alum that has passed away. There are currently no memorials for Caroline alumni. 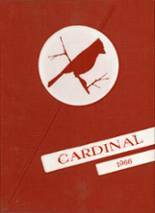 The alumni of Caroline HS in Milford, Virginia are encouraged to use this site to relive their time in high school by sharing with former students and teachers of Caroline High School. 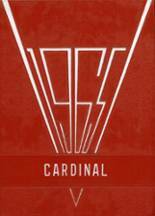 If you are an alumn of Caroline HS you should register now in the alumni directory. We also encourage you to interact with the rest of the alumni on this site. You can find old friends, share photos and stay updated on the latest school news. 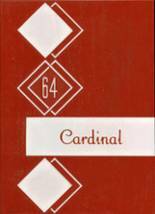 You can share memories of those activities that you were involved with at Caroline HS and you can view other alumni and read what other former students have posted about the time they spent at Caroline. Mary Hockaday has someone searching for them. William Castle has someone searching for them. William Barker has someone searching for them. Garnett Beasley has someone searching for them. Melissa Somers added photos to their personal photo gallery. Melissa Somers updated her profile picture. Melissa Somers registered as a CHS Class of 2000 alumni. Charlene Coleman added photos to their personal photo gallery. Charlene Coleman updated her profile picture. Charlene Coleman registered as a CHS Class of 2010 alumni. Ahlanna Lawrence-Crichlow Lawrence added photos to their personal photo gallery. Ahlanna Lawrence-Crichlow Lawrence updated her profile picture. Ahlanna Lawrence-Crichlow Lawrence registered as a CHS Class of 2016 alumni. Mark Smith added photos to their personal photo gallery. Mark Smith updated his profile picture. Mark Smith registered as a CHS alumni.